Business and community leaders united to break down the stigma associated with Alzheimer’s disease and other dementias and build a community of care for British Columbians affected by the disease at Breakfast to Remember in Victoria and Vancouver. The breakfast events, held February 22 in Victoria and March 7 in Vancouver, featured personal talks from leaders in business, journalism, sport and dementia research. The two events combined raised more than $230,000, which will support the Alzheimer Society of B.C.’s programs, services and advocacy efforts and enable research into the causes and possible cure for Alzheimer’s disease and other dementias. On March 7 at Vancouver’s Fairmont Waterfront, speakers Jason McLean, president and CEO of McLean Group and Board Chair of the Vancouver Foundation, and Dr. Robin Hsiung, a neurologist and dementia researcher, gave impassioned talks on their personal and professional connections to dementia. Emceed by Global National’s Dawna Friesen, the seventh-annual event welcomed such notable guests as Vancouver City Councillor Adriane Carr and soccer legend Bob Lenarduzzi, who also spoke at the event in Victoria. Breakfast to Remember in Vancouver raised more than $190,000 to support British Columbians affected by dementia. On February 22 at Victoria’s Fairmont Empress, Bob Lenarduzzi, president of Vancouver Whitecaps FC, opened up about his family’s experience caring for two people living with dementia, while Jack Knox, columnist for Victoria’s Times Colonist, shared his thoughts on aging and seeing someone he was close to hide a dementia diagnosis to avoid the stigma of the disease. 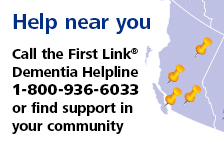 The fifth-annual Breakfast to Remember in Victoria was hosted by CTV Vancouver Island’s Joe Perkins and welcomed Health Minister Adrian Dix and Parliamentary Secretary for Seniors Anne Kang, both of whom spoke to the importance of the Alzheimer Society of B.C.’s work. Breakfast to Remember in Victoria raised more than $40,000 to support British Columbians affected by dementia. Pictured at Fairmont Waterfront Hotel in Vancouver on March 7, 2018, are: (left to right) keynote speaker Jason McLean, CEO of McLean Group, Alzheimer Society of B.C. CEO Maria Howard, event emcee Dawna Friesen, anchor of Global National and guest speaker Dr. Robin Hsiung, dementia researcher and latest recipient of the Ralph Fisher and Alzheimer Society of B.C. Professorship in Alzheimer Disease Research.